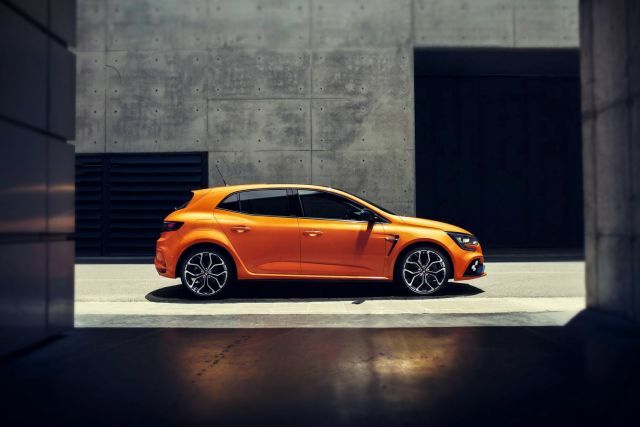 The 2019 Renault Megane RS is a mid-size hatchback that delivers amazing performances and aggressive styling. After its complete redesign in 2016, the new model is, logically, sportier and meaner from the outside. However, this fourth-generation of Megane now gets an RS variant. Unlike the Ford’s RS models, Renault’s RS stands for “Renault Sport” which means even sportier look. 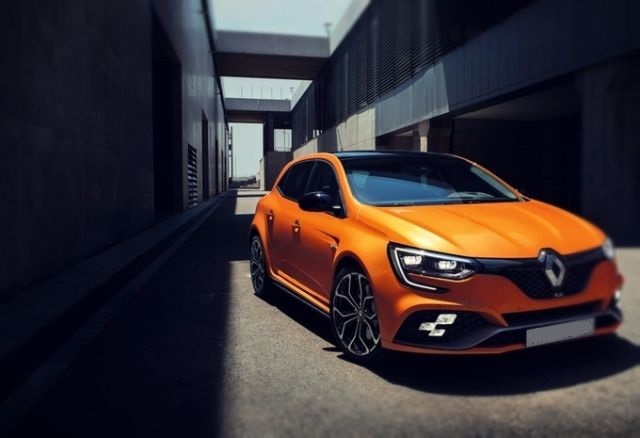 More powerful than the regular model, the 2019 Renault Megane RS brings a race-car feel and the interior design that looks stunning. 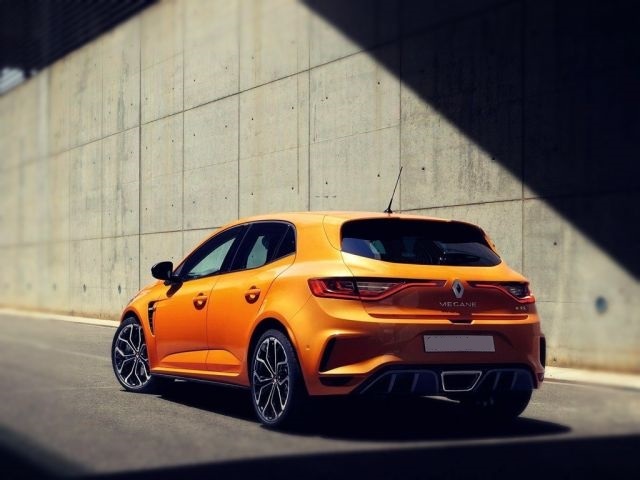 In order to give new Megane RS more aggressive and sportier exterior, Renault had to depart from the base model’s exterior. The front end comes with the headlights that flank a front grille. That grille sports a honeycomb mesh, while the base models sport horizontal slats. An RS emblem sits just below the bigger Renault’s emblem. The bumper comes with larger side vents and LED daytime running lights. Center vent is placed lower and its opening is wider. The side profile holds grey-painted extensions and the window trims are black. 19-inch alloy wheels are looking sporty and very unique. The rear part is less aggressive and is basically the same as on the base model. The only difference is the roof spoiler that suffers small revision and the exhaust pipe is rectangular. The interior of the 2019 Renault Megane RS will also depart from the regular model. The first thing you will spot is a race-car steering wheel with a flat bottom. The wheel adds red stitching, red RS badge and leather wraparound. The instrument cluster offers sportier looks thanks to the red markings and custom graphics. More red highlights can be found on the gear shifter too. Infotainment display will stay intact, however, you can now use the display to switch through the driving modes. The seats are completely different, the design is sportier and Alcantara upholstery is available. 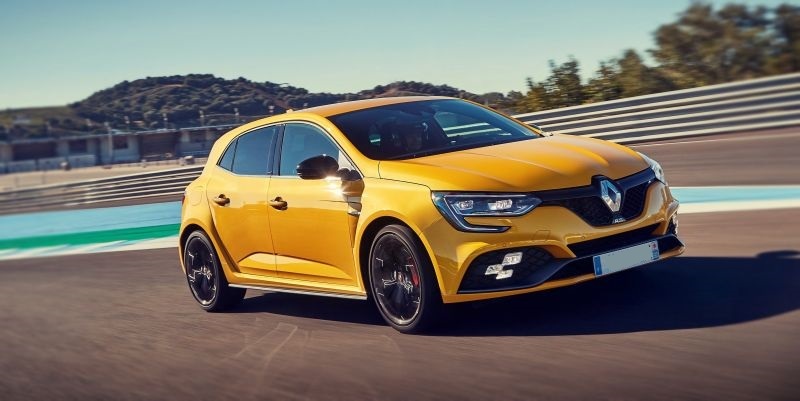 The all-new 2019 Renault Megane RS will hit the dealerships with a new engine. A 1.8-liter four-cylinder unit comes with a new turbocharger and updated exhaust system. Thanks to those changes, Megane RS generates up to 300 hp and 310 lb-ft of torque. Those figures are the best one yet. The customers can opt for a traditional 6-speed manual transmission or the optional 6-speed automatic. An important note is that the manual gearbox delivers not more than the 290 lb-ft of torque, so the automatic gearbox is recommendable. The new exhaust system now adds a mechanical valve that controls engine noise. You can control the sound of your Megane RS via Multi-Sense mode selector from the inside. Moreover, the 2019 Renault Megane RS is the first RS model that will use a four-wheel drive setup. With that in mind, stability, cornering, and agility are better than ever. While we wait for the official info, we know that the 2019 Renault Megane RS will cost around $45,000. In France, this super-hot hatch will cost €40,000. The U.S. markets will get Megane RS for the first time that should arrive at some point in 2020. On the other hand, European car markets will see this hatchback by the end of the year.